The renowned Jancis Robinson MW, the highly experienced and Lalani & Co fan Julia Harding MW and expert José Vouillamoz have created the most comprehensive and advanced document on the world’s 1,368 vine varieties. Jancis, Julia and José are pioneers dedicated to the furthering and advancement of their craft, pure and simple. 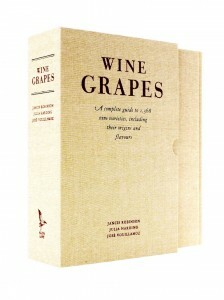 Wine Grapes is a seminal work, setting the bar in the wine world, put together with great love and attention to detail. The book will certainly progress wine making and appreciation, giving experts and enthusiasts the chance to explore the world of wine to new heights. “While researching and writing, I had the chance to taste some very uncommon grape varieties, for example Kolorko, Sumoll Blanc and Limniona but I know it is hard to find examples of some of these even in their country of origin.